Charging your car battery is good for your battery and it will make it live longer. Many drivers drive their car only short drives, and that will cause the car to drain more of the battery than the alternator can produce. It will end up in a dead battery situation when you least want it. The good thing is that you can prevent it by using a car charger. I’m a mechanic and I get a lot of questions about how you should charge your battery and if it’s dangerous to charge it too often. In this article, I will give you all the answers to the most common questions. There are two different of charging situations. You may want to maintain charge your battery, or you need to charge it fast because your car is not starting right now. There are several bigger chargers out there, which you can start your car some minutes after you connected the charger. If you really want to start your car fast, I can recommend a portable jump starter instead. It will start your car within seconds and it’s really powerful for the size. If you want to take a look on one, you can do it here: DBPOWER Jump Starter Link to Amazon. Remember that some cars can take damage to any types of jump starts and should be used with care. I have not experienced it myself after over 500 jump starts on vehicles at work, but heard of horror stories. The main reason for this is due to voltage spikes and wrong wirings. The other situation is that you want to maintain charge your battery or charge after a dead battery. Here will a car charger do the job for you. A battery with a low amount of charge will die a lot earlier than a battery that is charged all the time. Especially if you live in a cold country. Get a good quality smart car charger! A good, smart car charger is the first thing you should buy if you are owning a car. The new car chargers are smart and you do not need to have a lot of knowledge to charge your battery the right way. The chargers use a active monitoring to charge your battery the best way. You can have it connected 24/7 if you want. When the battery is fully charged, they will stop to charge it. You can mount the charger on your vehicle and just connect it when you are home to maintain charge it all the time. You will reduce the change of a dead battery a lot! There are a lot of less expensive chargers out there that you will save the money fast instead of buying new batteries all the time ( Which are more expensive than a charger ). You will get a good charger that will do the job for you from 30 bucks. The type of the car charger you should have depends a lot on what battery size you have in your vehicle. But the most normal sized car chargers will do the job for all car batteries (12 volts). 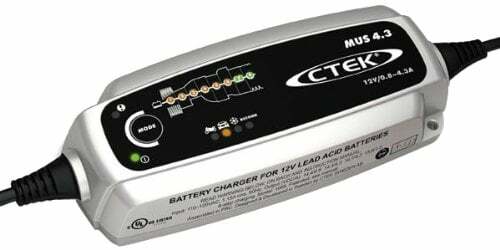 A car charger that I really can recommend for a universal use is the CTEK Battery Charger Link to Amazon. With this charger, you can’t do anything wrong. It’s wrong-polarity protected and you just have to connect it and it’ll do all the job for you. It will charge your car battery in 8 stages until it’s fully charged. Note that this car charger is 4.3 a and it’s a maintain charger. It will take some time to fully load your battery. If you are looking for a charger that will start your car faster you can check out the bigger models like CTEK Battery Charger Link to Amazon. This is a professional tool that I’m using at my job as a mechanic to charge customers cars when they are inside the workshop. It costs a bit more, but if you are looking for a fast charger this is the charger you want. How to charge my battery with this chargers? To charge with this chargers is really easy. First, you have to find your battery, it’s most likely located under your hood or in the bottom of the trunk. Check you repair owner manual for more instructions. Note that there can be two batteries in some car models and they are not connected to each other. Many times I have got cars to the workshops that’s not starting even after they said that they charged the battery. The problem is that they charged the wrong battery. These cars usually use one battery for some electronics and one battery for the starting function in a vehicle. Search for a “+” sign pole on the battery, connect the red clamp from the charger to that. Connect the black clamp to the “-” sign pole on the battery. Connect the charger to the wall and see the instructions on how to start the charger. Best to charge my battery slow or fast? Charge a car battery slow is the best. A fast charging will make it less durable and can actually damage the battery. Normally a rate of 4 amperes like the first charger I mentioned, is a good charging rate for all types of car batteries. The time it takes to charge a dead car battery depends on the size of the battery and the power of your car battery chargers. If you want to learn more about charging times, you should check out this article: How long time does it take to charge a dead car battery? Do I have to fill up my battery first? Yes, if you have an older battery you should fill up the battery before charging. The most newer batteries are sealed and you can’t fill them. If the battery water is over, you have to buy a new battery. If you have an older battery and you remove the caps and see that you have to fill it up. You should fill it with Distilled water. Do not use normal tap water, it may work but it can damage your battery. Can I charge my battery connected to the vehicle? Yes, you can charge it when connected to the battery if you have a modern car charger. Old car chargers could produce voltage spikes that could damage electronics, but the newer chargers will not do that. 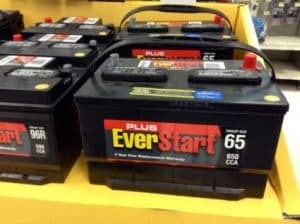 I hope you liked this short article about car battery charging. If you want to learn more about cars from me, you can check out my other articles at our homepage. What is your experience with car battery chargers? Comment down below!